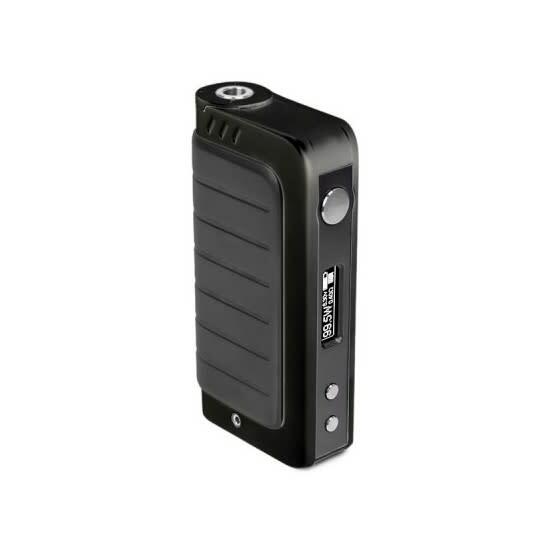 Sorry, IPV4 S 120W Temperature Control Box Mod has been discontinued. Equipped with the new YiHi chip SX330-V4SL, a fantastic ergonomic design, and a maximum power output of 120W, the IPV4-S is one of the most advanced and popular Temperature Control box mods available right now. Easily power most of today's sub-ohm clearomizers and RDA builds, thanks to its variable wattage between 10W-120W in wattage mode, when using standard kanthal wire coils, and its temperature control mode when using either Nickel (Ni-200) builds, or Titanium (Ti) builds. In wattage mode, the 120W of the IPV4-S will allow you to use atomizers of a resistance ranging between 0.1ohm to 3ohms. In temperature control mode, called Joule mode, you will be able to go up to 572°F/300°C, or 50J with Nickel builds, and 100J with Titanium builds, making this mod one of the most versatile and powerful on the market. The accepted resistance with temperature sensing coils is ranging between 0.12ohm to 1ohm. With a very solid aluminium build and a rubberized cover, the IPV4-S is one of the most robust and ergonomical device we've seen. 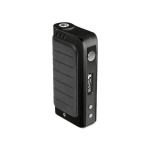 It uses 2 x 18650 High Drain batteries, sold separately, that are covered by a convenient magnetic door. 18650 batteries will need to be charge with an extrernal charger. Both batteries and charger can be purchased on this page. WARNING: It is not recommended to use the 9V charging port (at the back of the device, opposite of the power button), since the IPV4-S does not come with an official 9V 2A wall charger. Any damage or safety issues occuring from use of this port are at the user's own risk, and 180 Smoke is not liable for improper use of this product. Please also take care of keeping clean the 9V port of any excess of e-liquid. For some reason, I find this box mod hits amazing. It's made by pioneer for you so I know it's a quality box mod and they did not disappoint. It hits so amazing that I get a really enjoyable vaping experience from this device. Feels great in the hand and holds 2 18650 batteries which personally I enjoy because it offers longer battery life then a single 18650 box mod. This mod is awesome, the only issue I have ever had with it is the screen, the glass it's made of, reflects a lot of light, so on a bright sunny day, it may be hard to see my screen, but that usually does not bother me for I just set my wattage to whatever tank I'm using or rda I'm using and I never really look at my screen for the rest of the day haha.